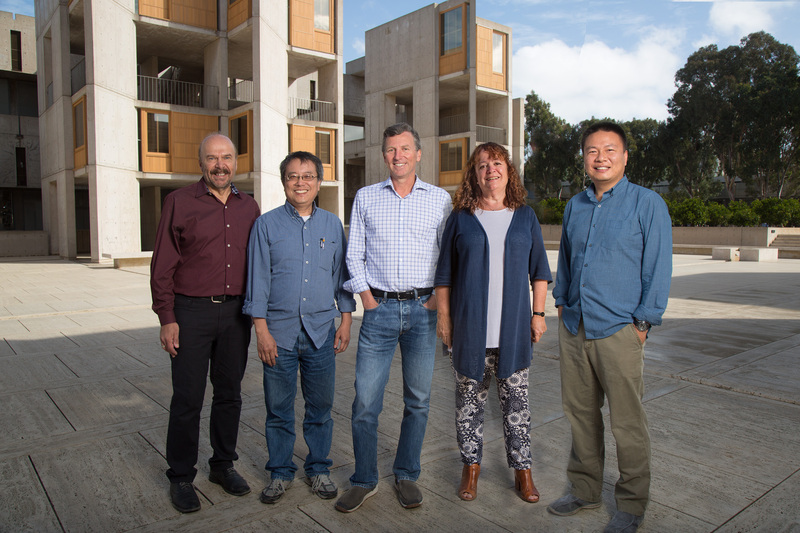 LA JOLLA—Salk Institute scientists will lead a multimillion-dollar, five-year initiative to revolutionize our understanding of the human brain by systematically identifying and cataloging cell types across the mammalian brain, the National Institutes of Health has announced. The effort, which is part of the Brain Research through Advancing Innovative Neurotechnologies (BRAIN) Initiative®, will be co-led by Salk Professors Joseph Ecker and Ed Callaway. Researchers from USC and UC San Diego will also participate in the collaboration. 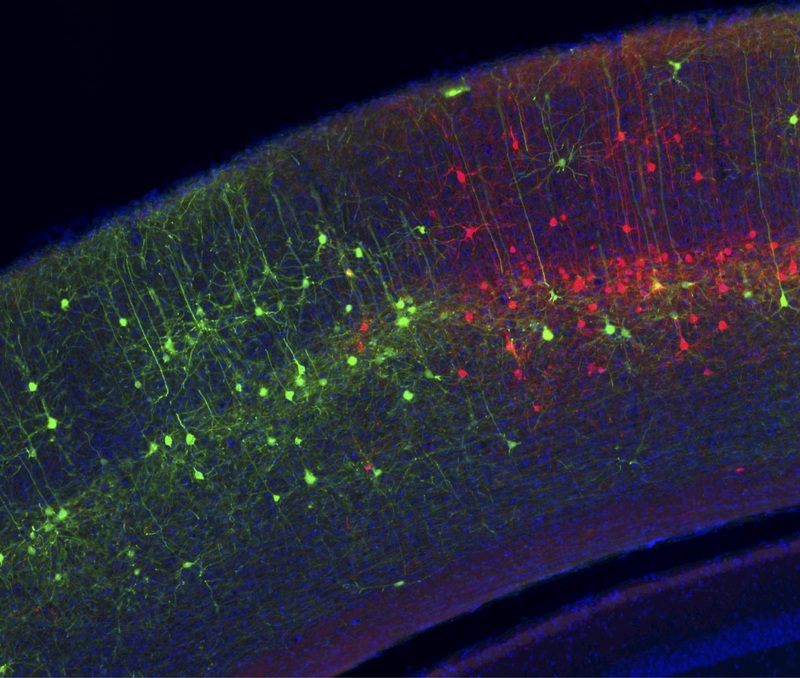 Nerve cells in the mouse brain that have been labeled with a modified rabies virus and fluorescent proteins. The brain is not just made up of one type of neuron, but many types of cells that scientists are just beginning to identify. Pinpointing these different cells can help reveal how the brain works—and what happens when it doesn’t—but scientists lack a systematic catalog that identifies cell types across the entire brain. They also lack appropriate means for genetically targeting the majority of cell types for research into therapeutic uses, particularly in humans. To address these limitations, Ecker and Callaway, along with Salk colleagues and other collaborators, propose a series of integrated experiments to identify, catalog and characterize brain cell types in mice via molecular signatures and then link those cells types to their inputs and outputs. 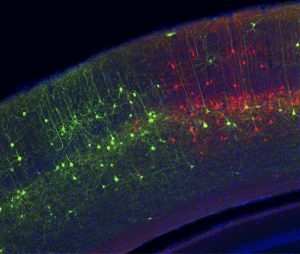 Of particular use will be a method pioneered by the Callaway lab to use modified rabies virus to trace connections between nerve cells. The project, called the Center for Epigenomics of the Mouse Brain Atlas (CEMBA), will require collecting data from over 100 brain regions covering the entire mouse brain and associating those cell types with anatomical features that may be common to nervous systems generally and therefore subject to similar methods of monitoring and manipulation in other species. The Salk center is focused on single-cell epigenetics—the chemical changes to DNA that are responsible for controlling the differences in gene expression that make each brain cell type unique. The team expects that this information will be particularly useful for creating tools to target these same cell types in future studies of brain circuit function. For more information, please see the funding announcement at https://grants.nih.gov/grants/guide/rfa-files/RFA-MH-17-225.html. This project is supported by NIMH/NIH Cooperative Agreement Number U19MH11483.